Tickets are $10 for adults and $5 for children 8 and under, unless the price is otherwise specified. 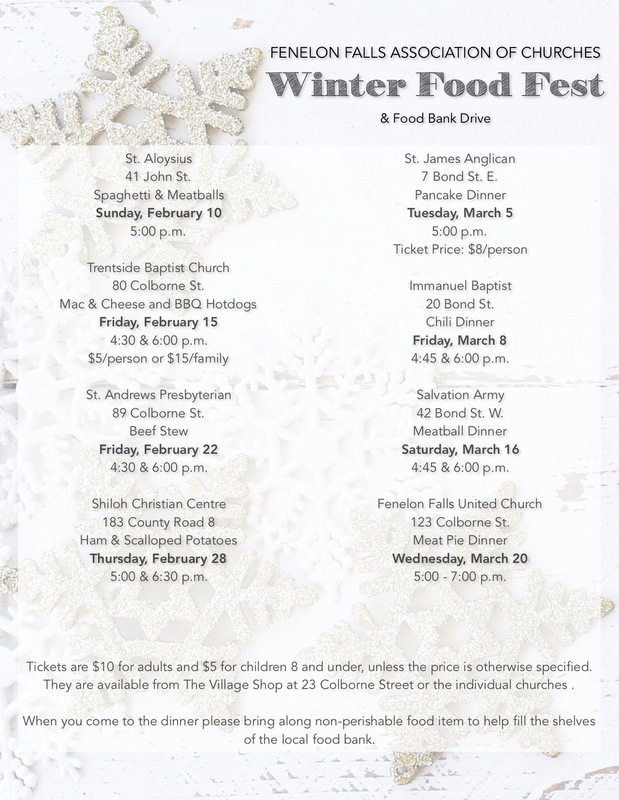 Tickets are available from The Village Shop at 23 Colborne Street or from the individual churches. When you come to the dinner, please bring along non-perishable food items to help fill the shelves of the local food bank.